Right, the cheeseburger. Not healthy at all and not in keeping with my current desire to eat healthily but I woke up wanting a burger today so a cheeseburger it is. 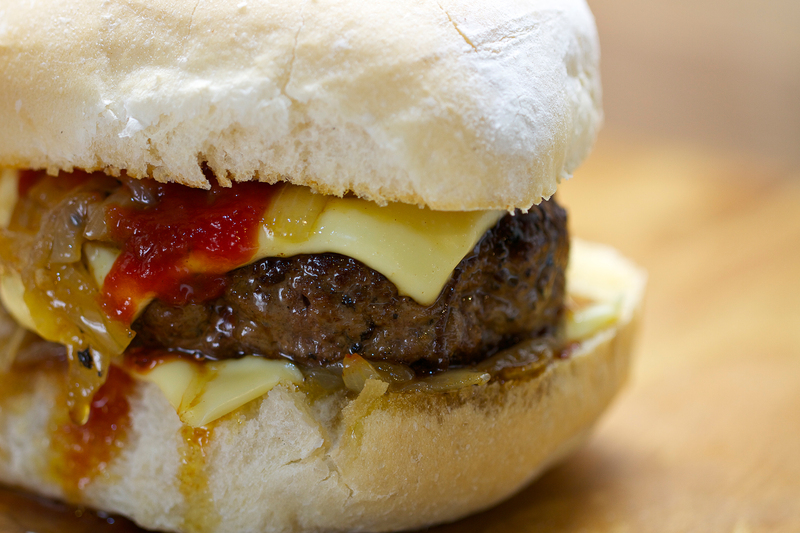 There’s a million different things you can put in a burger and a load if different ways to make them. I just wanted something simple that wasn’t too much of a handful to eat. I get a bit frustrated when I load a burger full of stuff and it becomes too hard to eat without it all going down your top. This happens a lot to me so I have to try and make my food easier and less messier to eat. So for this one I’ve just kept it pretty simple. 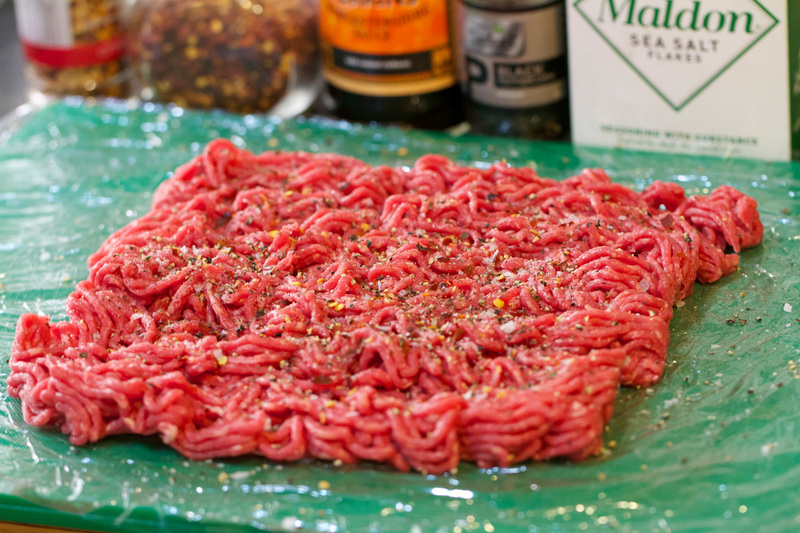 I went through a phase of putting lots of cool stuff in the beef patty mixture as well but I think if you’ve got good quality beef mince then you don’t want to do too much to it. I have stolen Heston Blumenthal’s technique for rolling the beef as it works really well, plus it actually takes less time to do it like this than hand forming each one. some nice buns. The choice is up to you. Everyone prefers something different. I went for a nice soft bun. 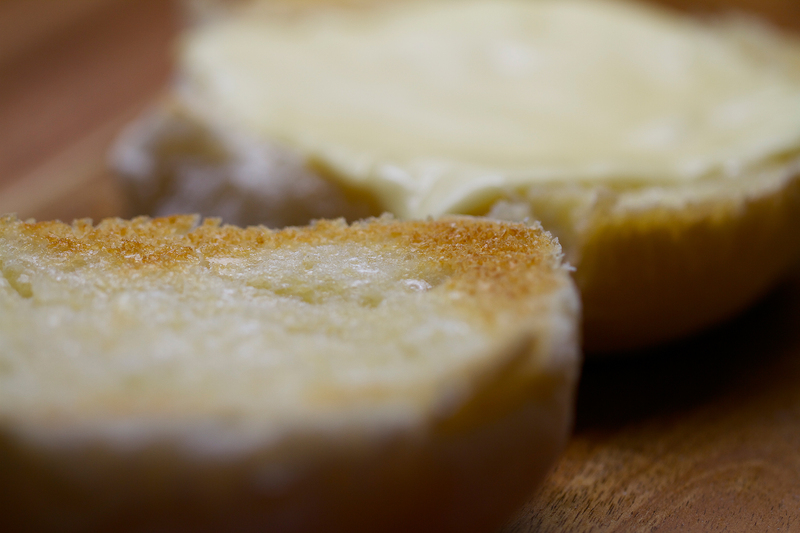 I don’t really like a crunchy bun. 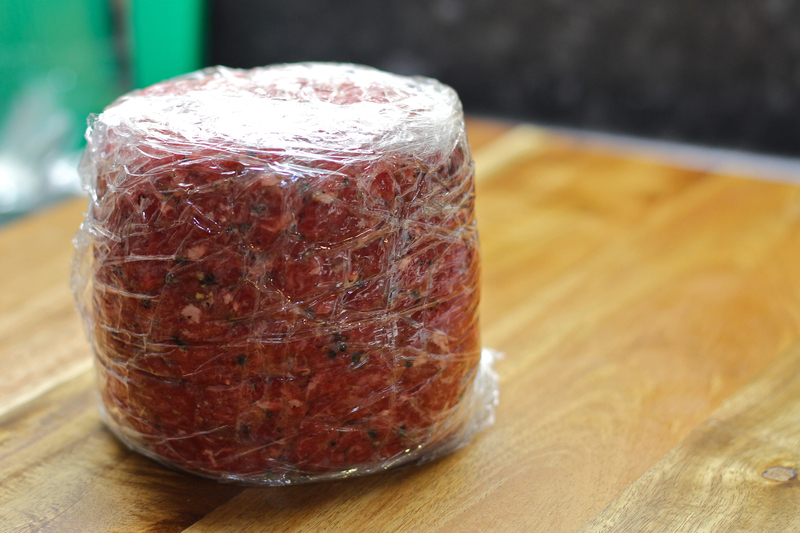 750 grams organic grass-fed beef mince – don’t go cheap for this one. It really does make a difference. cheese slices. You can have any cheese you like but there’s something about the ‘plastic’ cheese that you just can’t beat. Sliced emmental cheese is really good with this. 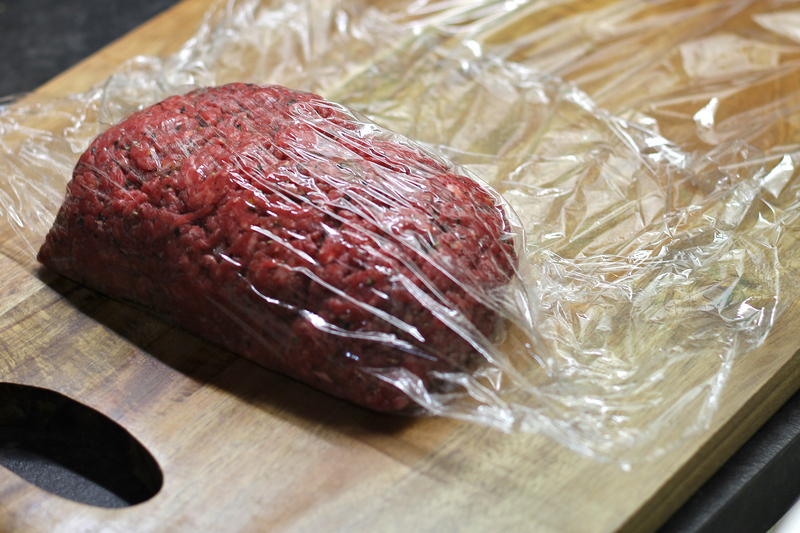 1. ok so get your beef on some cling film about a foot and a half long. Make sure to keep all the strands going in one direction and separate it slightly. Season with a large couple of pinches of salt and loads of pepper. Chuck in a splash of Worcestershire sauce and a splash of olive oil and mix well. I also put in a few dried chilli flakes. Now start trying to roll it, making sure to keep the edges in. Roll it so the strands are going at right angles to you. Roll it up a bit then squash the sides in so the roll is about 6 inches long. Now keep rolling it up and fold the edges of the cling film over. Now put it on its short edge and compress it down a bit. you should have a nice compact cylinder with a diameter of 3-4 inches and about 4-5 inches high. turn it over and make sure both ends are flat. You might need to keep turning it and compressing it to get it nice and round. Make sure not to compress too tight and it will be too tight and packed and be a bit heavy to eat. Cover with some more cling film to help keep the shape. Pop on the flat edge and put in the fridge. You want to keep this in the fridge for at least 1-2 hours if you can. The longer the better. I know that’s a bit of a pain but it does need to chill or it will fall apart on you. Do it in the morning before work then its all ready for you when you get home. This first part will only take 5 mins to prepare. 2. While the beef is chilling. Put the onions in a pan with some olive oil and some salt and pepper. I like to add some dried chilli flakes too. Cook this down on a medium to low heat for about 30 mins. Stirring every few mins. 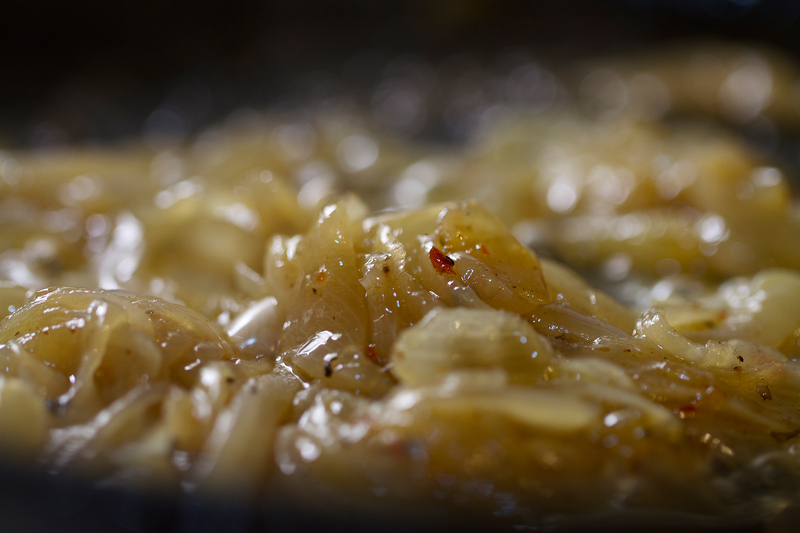 You want to cook this very slowly as it will draw out the natural sugars in the onions. You can cook this quicker if you like but it won’t be as tasty. I actually cooked these a bit longer cos Im weird like that, plus I was cooking a nice duck stock while this was all happening so I put a teaspoon of this stock into the onions every 10 mins. Just for a bit of extra goodness. 3. Ok so now the beef should be nice and chilled. Take out the fridge and with a sharp knife cut about an inch along the beef. Now peel off the cling film and flatten it a bit so it gets a bit bigger and not so thick. Again it depends on how thick you like your burger. 4. Heat up a pan add a splash of oil to the pan then fry off the patty. Don’t do that thing that everyone seems to do which is to push down on the patty while it’s cooking. You will squish out all the juices and I will get pissed off and mutter under my breath. Just turn it every 2 mins very carefully. It should take about 5-6 mins to cook depending on how thick it is and if you like it a tiny bit pink. 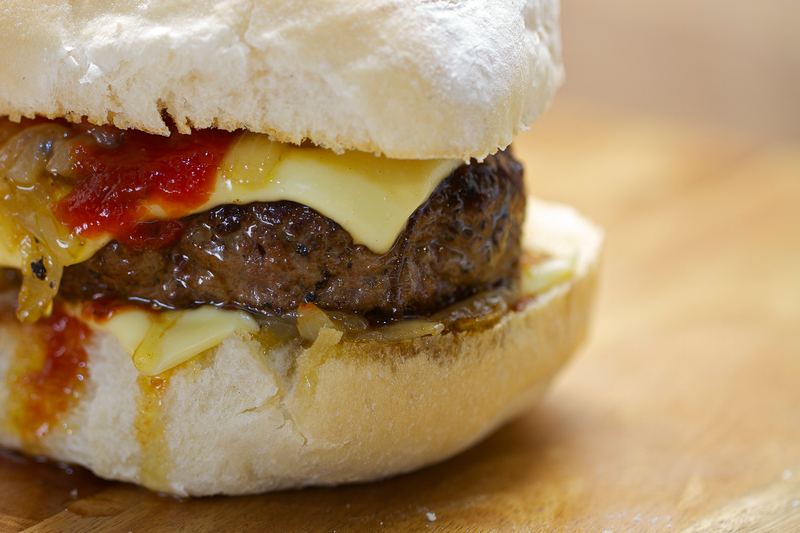 The last time you turn it put a slice of cheese on top and pop the bun under the grill to toast a bit. Again if you don’t like a toasted bun don’t do just cos I said so. 5. I put a slice of cheese on the heel of the bun while it was under the grill then I put a bit of tomato sauce and some onions, then the beef patty, then more onions then more sauce then the top. Sorted. Have some salad in there if you want to pretend to be healthy. Looks very nice. Good work!